Dr. Gerald A. Cioffi is a comprehensive dentist and oral medicine specialist at Gerald A. Cioffi DMD, PA in Orange Park, Florida. Dr. Cioffi offers a wide range of services including treatment for sleep apnea, TMJ treatment, dental crowns, fillings, bridges, treatment for oral lesions and ulcers, and much more. Dr. Cioffi is a three-time graduate of the University of Pennsylvania with a B.S. in Metallurgical and Material Science, an M.S. in Education and a Doctorate in Medical Dentistry. In addition, he holds an M.S. in Clinical Chemistry from Old Dominion University. He is a Diplomat of the American Board of Oral Medicine subsequent to Oral Medicine, Oral Diagnosis, and Oromaxillofacial Radiology Residency at the Naval Graduate Dental School in Bethesda, Maryland. He is a member of numerous professional organizations and societies as well as a Fellow of the American College of Dentists. He also serves as a Course Director for Pharmacology and Oral Medicine at Florida State College at Jacksonville (FSCJ). 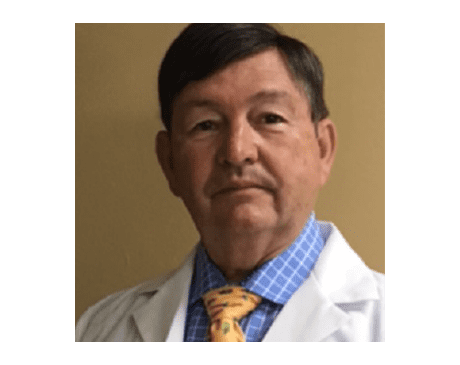 He has lectured extensively on subjects related to Pharmacology, Oral Diagnosis, Oral Pathology, and Oral Medicine for the American Dental Association, Florida Dental Association, Academy of General Dentistry and numerous components, affiliates and study clubs. Dr. Cioffi has published articles in both national and international journals and has been a contributor to textbooks. Dr. Cioffi is a highly experienced and skilled dentist who genuinely values each and every one of his patients. Contact the Gerald A. Cioffi DMD, PA dental practice anytime to make an appointment with Dr. Cioffi.